The Pakistani Cyber Crime Bill is in full affect! 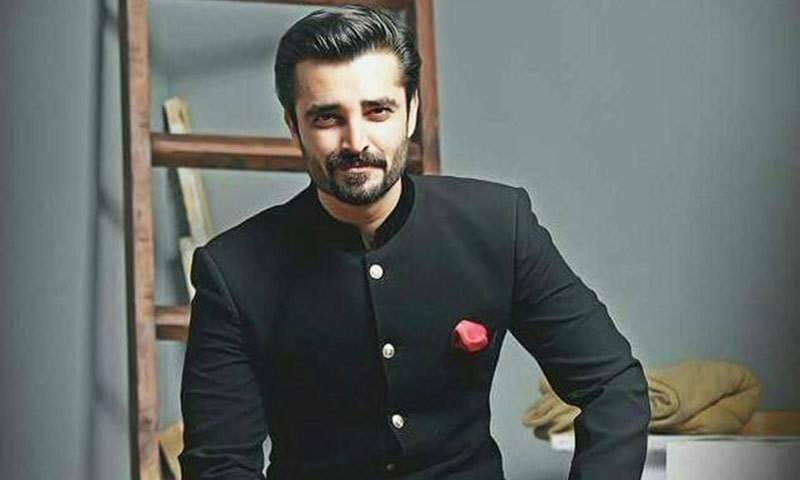 The Punjab Government on Wednesday issued a legal notice to Pakistani actor Hamza Ali Abbasi for spreading “false rumours” about the recent wave of child abductions across the province of Punjab. Abbasi, in his Facebook post, revealed that he has been served a legal notice by the provincial government. 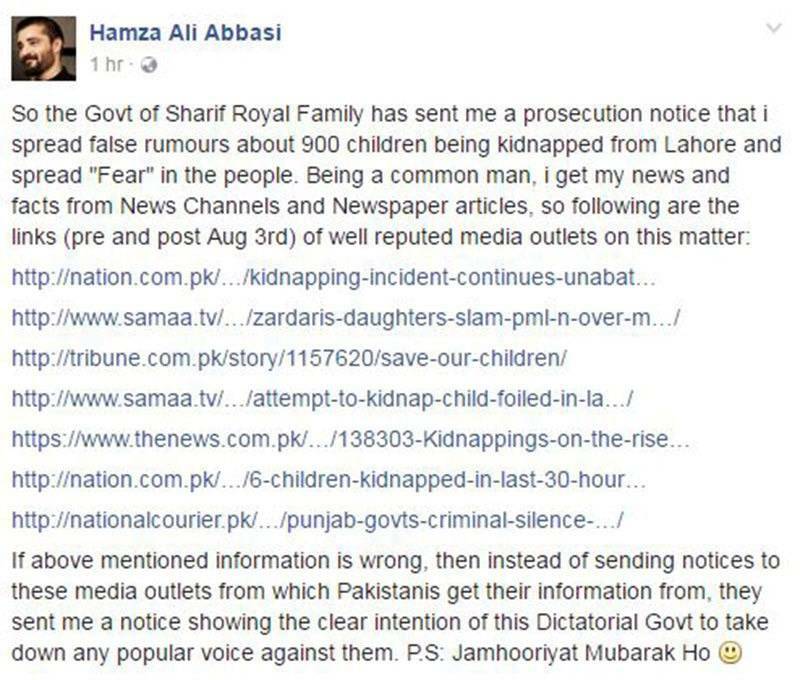 Hamza Ali Abbasi’s Facebook status — screenshot. The notice states that the number of missing children quoted by Hamza is incorrect and is “less than one third that you (Hamza) reported”. The notification further claimed Hamza’s post “was exaggerated and it created a sense of insecurity in the general public”. “The notice must be served to the news outlets as well. I, as a Pakistani, say that these politicians are as insensitive like animals,” said Hamza in Geo News’ Capital Talk. Pakistan Tehreek-i-Insaf’s (PTI) senior leader Shafqat Mehmood alleged that “Abbasi is subject to such a treatment because he is a PTI supporter. The government cannot arrest or serve legal notices to anyone for their Tweets or Whatsapp messages. In the month of Ramazan earlier this year, Pakistan Electronic Media Regulatory Authority (Pemra) barred Abbasi from hosting his Ramazan shows on Aaj TV respectively after complainants received said the show had aired provocative content.